Working to a very tight schedule Wisebusiness have built a new e-commerce website using our Juice CMS. 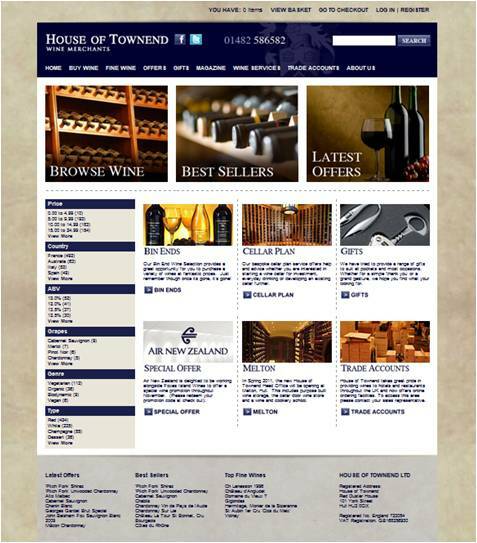 The House of Townend website contains a database of nearly 4000 wines from all over the world, as well as gift ideas for that special occasion or friend. Wisebusiness have produced a fully functional e-commerce website including special bespoke tools for backend administrative tasks and also later integration into backend systems.